Muriel’s Jackson Square offers an exceptional 3 course meal for only $28.95. Come enjoy a full dining experience featuring many choices such as Crawfish and Goat Cheese Crêpes, Turtle Soup, Gumbo, BBQ Shrimp, Pecan Crusted Puppy Drum and Shrimp Remoulade. 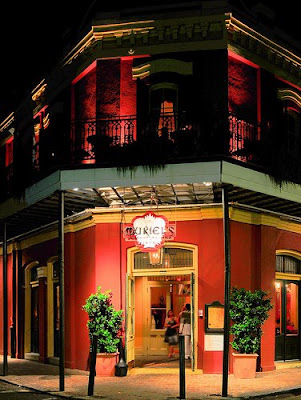 Muriel's is housed in an historic building overlooking Jackson Square. Immerse yourself in New Orleans culture and revelry that reflects the rich cultural, and culinary character of the Crescent City.